Amity Cove isn�t the only area with uneasy waters! In its own little corner of Calypso Quay sit the rolling waves and churning, swirling Rumba Rapids. This pleasant water ride will take you down the tropical river, away from the burning volcano and into the calmer calypso woodland. Watch out for the waterfall! 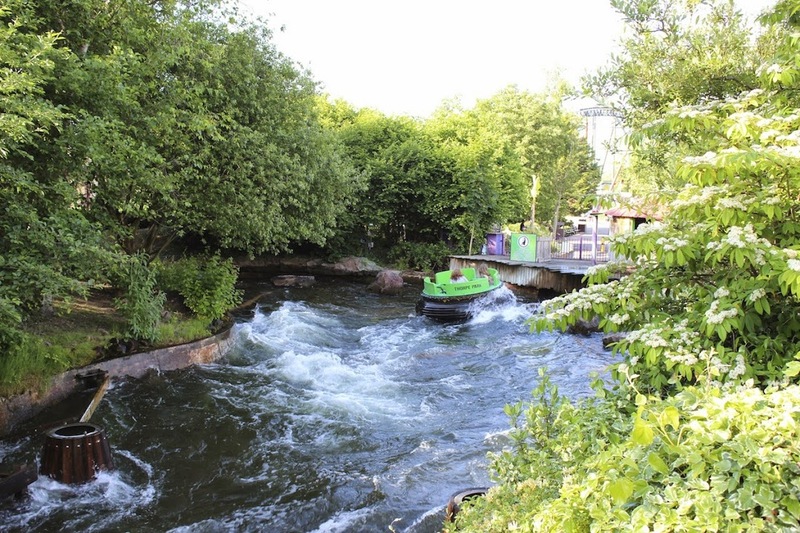 After you pass this torrent of water the ride really steps up a gear as the rapids get faster, the waters get whiter, and it gets harder to avoid getting a good soaking! Waterfalls splash you with water even after you think your ride is over so be on your guard at all times! 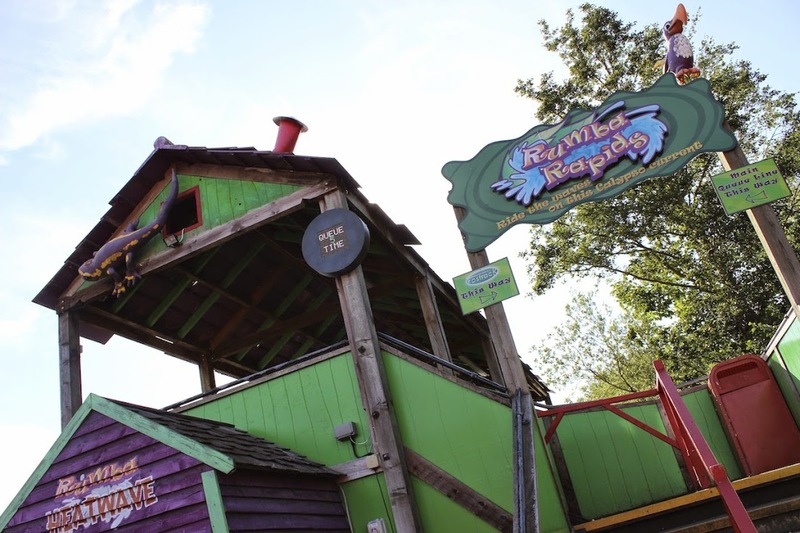 Rumba Rapids represents the more mischievous Calypso Quay! You�ll leave the leave platform after you've all been seated and make a U-turn before picking up speed downriver. You�ll get a unique view of the back of Stealth as you disappear into a dark tunnel concealing the waterfall! After emerging back out into the tropical sunshine, the boat will start to tip and turn and spin more as you race to the end of the river, carried all the way by the unpredictable calypso current! There are no restraints so it can be tempting to stand up to avoid the splashes, or just for 'fun'. DON'T! It really is dangerous to do this, the whole ride is covered by CCTV and anyone caught standing could be escorted from the park. You have been warned!